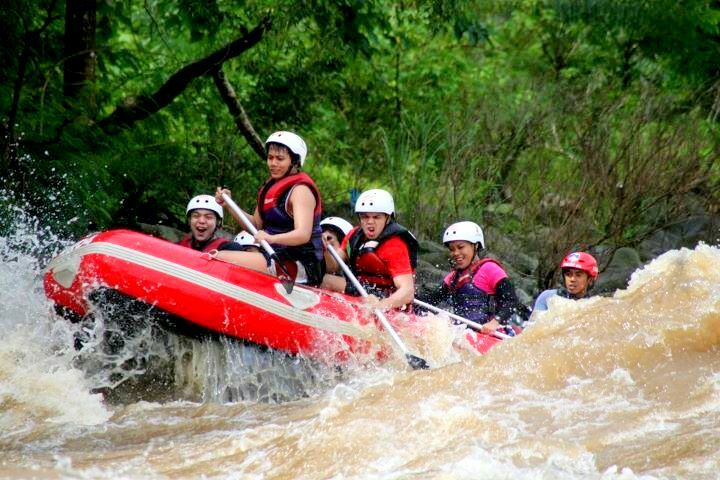 Cagayan de Oro City has been known for the white river rapids rafting adventure with the long stretch of rushing water rapids of the Cagayan de Oro River. Adventure trips was never my cup of tea but over the extended weekend, we headed out for an adventure fit to really get excited about. 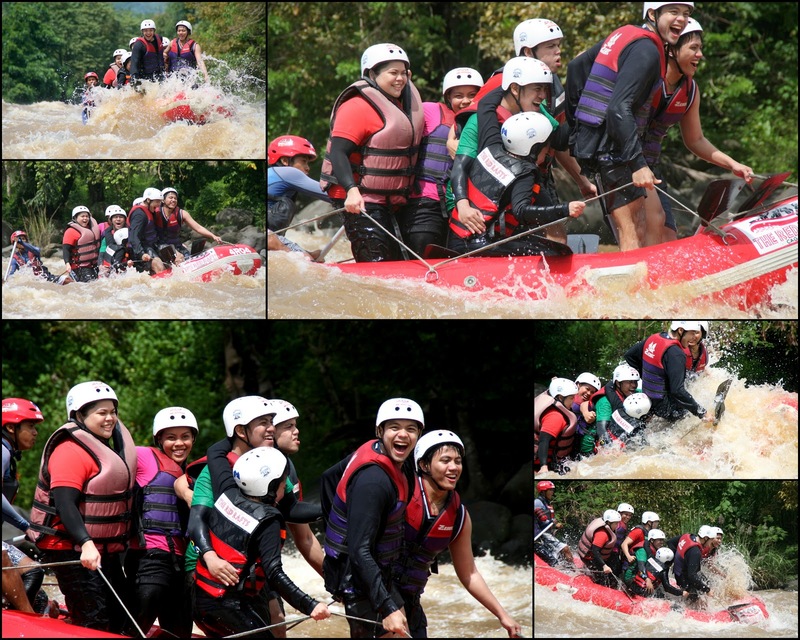 Clad in hard hats and life vest for safety, my brother PoyPoy, cousins Ate Tischa, Coi, Juz, Dave, and Val took on the Cagayan de Oro River rapids. Thanks to Kuya Bong who organized the trip for us, we were at the The Red Rafts start point for an adventure worth the adrenaline. 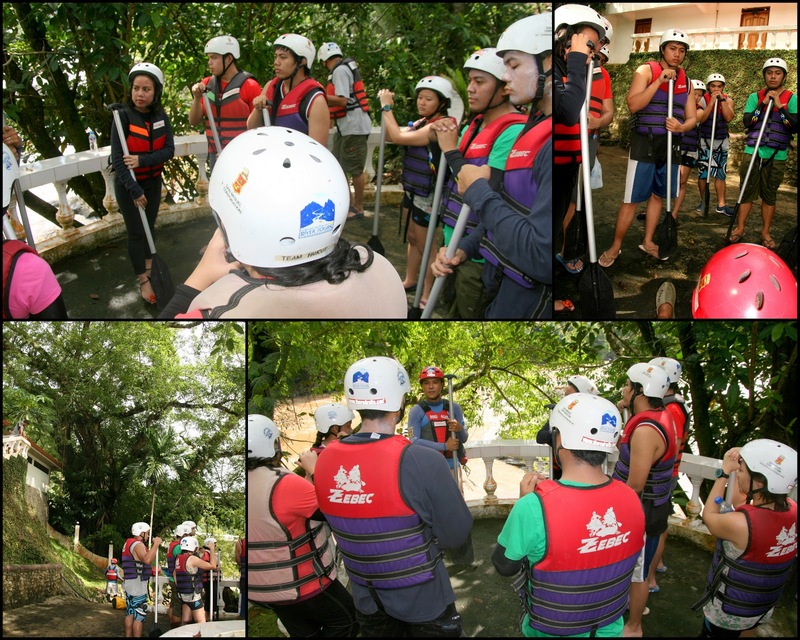 But track back to starting point, we had our basics in rafting session and the safety drill for, oh well, safety measures. LOL! After about 10-15mins or so of the basics and safety measures in water rafting — we did our first official High Five before hitting the rapids. It was, by the way, as the guides said, a little rougher with rain fall the day before. Weeeeeeeeeeeee for that! Yes! I was actually looking forward to be tossed around and get battered by the water, AND!!! I have my bro and male cousins to paddle us through it. (*cheat! bleeeh..I know! LOL!) But I was hard on myself to paddle it out to finish with them. 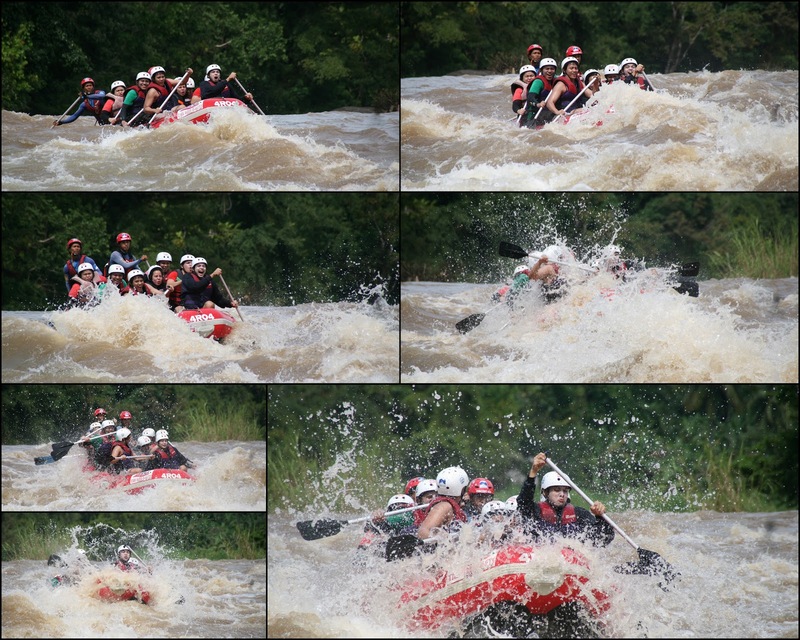 Despite warnings, all seven of us had to fit on in one raft, together with two guides because the water was high and the rapids were big. Nearly overloaded, we wanted to have it so, for the pictures and videos. LOL! And so we took it all in together. The river runs it’s course on the Northern Central Mindanao being a natural boundary of Bukidnon and Cagayan de Oro and empties at Macajalar Bay. 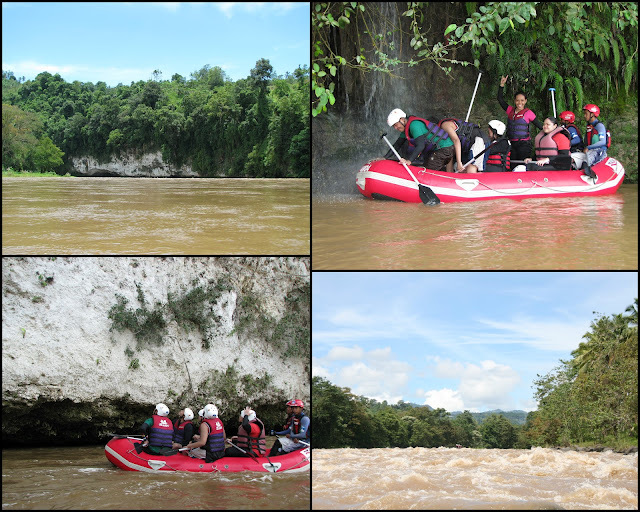 The limestone formations and the lush vegetation framing the river is a sight for sore eyes. the guides would inject a little information and would point out some facts and information along the course of the river. 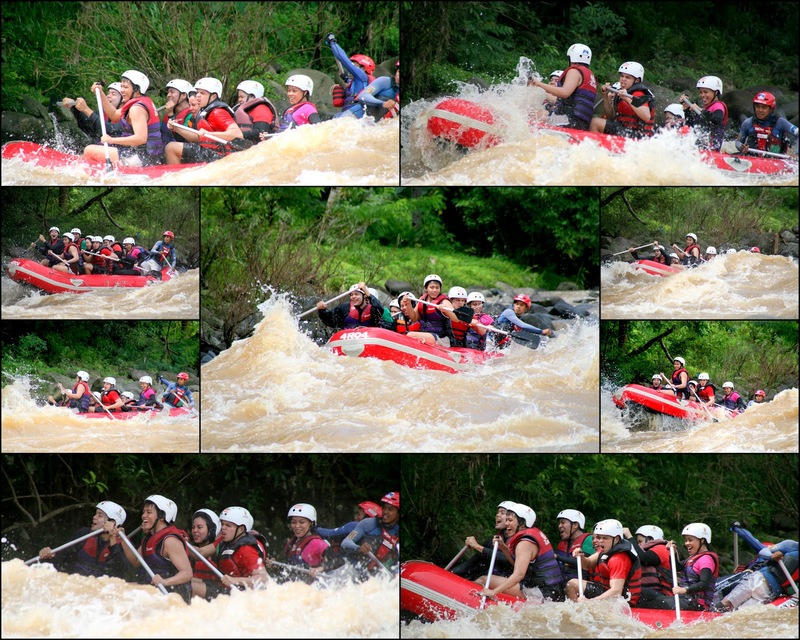 Everyone of us were first-timers on rafting on rapids, and as if the rapids and rainfall had not scared us, we had Class IV (Exciting) Package in a 18.6km stretch of the river for a 4hour traverse. Enjoying the 21 rapids and a couple of bonus ones with rainfall the day before meet —- The game face. The scared face. The serious paddler face. And the just enjoying the ride face. LOL! Extreme IV was “Longer rapids with powerful waves and strong currents. The passages are boulder-choked and require precise maneuvering. Scouting from shore is mandatory. Exciting and challenging for all.“, as described at the The Red Rafts adventure company site and we conquered it! + Wear appropriate clothing. Long sleeves/ arm protector sleeves and leggings is a must with 4hours under the scorching sun. + Use sunblock lotions with high SPF generously. The water and sweat washes off the lotion, make sure to place less lotion on your forehead to prevent running of lotion to the eyes. + Wear water shoes or nicely fitted footwear. + The photos and videos are part of the package, however, a waterproof camera comes in handy for the ride. On Travelling and Getting the Cool Flight Deals!